Domestic tech company iBall has launched a new laptop dubbed as the CompBook Merit G9 in India. The new laptop is powered by an Intel Celeron N3350 processor, runs Windows 10, and packs 2GB of RAM. The iBall CompBook Merit G9 is a budget laptop and it is already available across India at the price of Rs. 13,999. 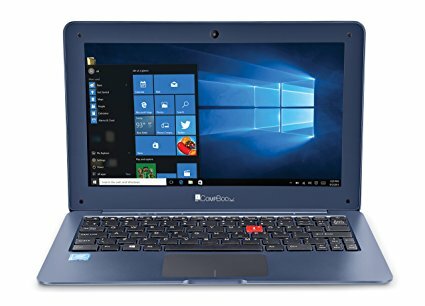 As per the company, the iBall CompBook Merit G9 is a lightweight laptop at 1.1kg and has been made available in Cobalt Blue color option. It packs a 5,000mAh (38Wh) Li-Polymer battery that offers six hours of battery life. The CompBook Merit G9 has an 11.6-inch HD (1366×768 pixels) display with touchpad and multi-touch functionality. As mentioned, the Merit G9 is powered by a 2.4GHz Intel Celeron N335 processor paired with 2GB of DDR3 RAM. The laptop packs 32GB of internal storage with the option to expand it further up to 128GB via microSD. Also, for more storage, the external HDD/ SSD support of up to 1TB is also provided. The iBall CompBook Merit G9 sports a 0.3MP web camera. It also features dual speakers, and a 3.5mm audio jack as well. The device gets power from a 5,000mAh (38Wh) Li-Polymer battery that the company claims to offer six hours juice in normal working conditions and the laptop can last for seven hours of video and 20 hours of audio offline playback as well. Connectivity options include Bluetooth 4.0, Intel Dual Band Wireless-AC 3165, HDMI ver.1.4a port, and USB ports of 2.0 and 3.0.